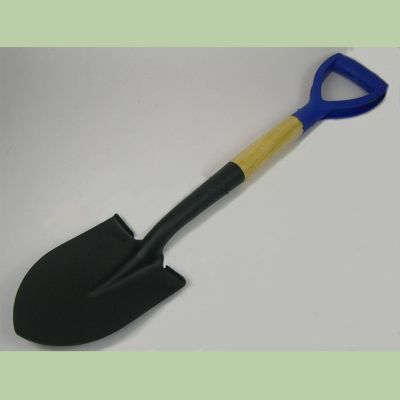 We have the shovel now : http://www.calimacil.com/ace-of-spade-shovel.html. Still working on some other stuff you proposed. Our plan was to wrap sleeping bags in duck tape for kegs and have available other "tavern" type props - your wine bottles are perfect!! I would like to see wood and pewter plates and mugs, oil lamps, candle lanterns, table legs, pottery jugs, casks, etc.... Just all of the stuff you imagine when you think of a tavern brawl; much of it could double up for western themes or even modern era events. PIES!!!! custard pie fights with no mess and no ruined costumes!!! I would absolutely LOVE a frying pan! I can think of a character concept in a run a friend was in where that weapon saved the party! It was the only item that was Cold Iron and it decimated the enemy! I hope you create a frying pan! Lots of people over here would love it! I would Really love to see a Larp safe Scythe and would pay hansomely for it, to date in my 10+ years of larp play I have yet to see a decent latex or foam/duct tape scythe. Haha, I like the idea of a hitting someone over the head with a LARP shovel. One of my favorite ordinary people's fighting items is the make it yourself buckler for home defence: the lid from a cooking pot. It is definitely on my want-to-have list. Also wanting: ordinary historical wood axes, a hammer, kitchen & food knives. Love the shovel, wanted one for a long time. It should not be full steel, metal shod wood is more historical looking. I used to fight rolling pin and frying pan. The rolling pin actually rolled too. I've seen the beer stein (used for muggings), shovels and the meat cleaver. The question is, can it be done well AND inexpensively? I would love to have a new, oddball weapon as well as a cool boffer anvil.